In a 2011 Interview, Ms. Franklin stated in her own words, “I never had pancreatic cancer.” The question is not, “did she lie?” But rather, “how is it that she told the truth?” And, the truth is, she had “neuroendocrine cancer,” which by pathology can only be itself. Many neuroendocrine cancer patients feel invisible in a sea of other well-known cancers, as they struggle for a face and an identity. Ironically, there are many notable faces that have battled neuroendocrine cancer. For example, Dave Thomas, founder of Wendy’s, Robert E. Paterson, founder of Hot Rod magazine, and Steve Jobs, co-founder of Apple. The lead singer of Phish, Trey Anastasio, lost his dear sister, Kristy Manning, an environmentalist and author, to neuroendocrine cancer in 2009. Dag Kittlaus, creator of SIRI, was diagnosed with neuroendocrine cancer in 2017. Famous actor, Irrfan Kahn was recently diagnosed with a high-grade version of the cancer termed, “neuroendocrine carcinoma”. A current project that involves Jim Parsons, of “Big Bang” fame, is a movie based on the book “Spoiler Alert: the Hero Dies.” The story chronicles a couple’s journey facing high grade neuroendocrine carcinoma. If society is going to continue to dialogue about notable neuroendocrine cancer cases, then it needs to be done using the rules, language, treatment, and terms of neuroendocrine cancer. It seems only fitting to honor them, and others, by honoring the correct type of cancer. For many years, my husband Ivan, chose to be invisible when it came to telling people about his 2012 neuroendocrine cancer diagnosis. That changed about a year ago, when he was about to undergo his second debulking surgery. It was then that he decided to come out of the shadows and tell people. My husband’s story is very common, his neuroendocrine cancer was found at stage four, despite preventative checkups and a healthy lifestyle. Neuroendocrine cancer’s primary (where it originates from) is commonly found in the GI tract and lungs. His primary was found and removed from his pancreas without a whipple (a surgery that removes the pancreas, part of the small intestine, the gall bladder and bile duct). His case is grade one, the slowest growing. Ivan is fortunate, others with neuroendocrine cancer can be diagnosed at higher and faster growing paces. His case is manageable and responds well to treatment. My husband has a demanding job and is incredibly athletic. I am sure the people he encounters wonder how he can be so fit and “healthy” at stage four. The answer, in part, is that neuroendocrine cancer is a square peg, constantly being jammed into the round hole explanation of every other cancer. It is very difficult to get accurate information about my husband’s cancer. Years from now when I ask SIRI, “what is neuroendocrine cancer,” she might just get it 100% right. Until then, I will have hope and faith that things will evolve for the better, because neuroendocrine cancer is DYING for awareness. Christine Lozina is the wife and caregiver of Ivan, who has a neuroendocrine cancer. She worked as a health educator, even teaching cancer units, but had never heard of neuroendocrine cancer until it touched their family. She is an advocate for NET awareness and shares her birthday with neuroendocrine cancer awareness day (Nov. 10th) – funny how the universe works sometimes. This entry was posted in Guest Blogs, Homepage, OncoLink News and tagged NET, neuroendocrine tumor awareness, neuroendocrine tumors. Bookmark the permalink. Thank you for publishing this and helping us to spread awareness of this invisible disease. Thank you for posting this article to help us raise awareness of this invisible disease. Thank you for writing about this cancer. I had never heard of it until7 years ago when a colleagues sister was diagnosed with it in the breast. She had recently given birth. It was so aggressive that she died about 4 months after she was diagnosed. Finding an oncologist who was somewhat familiar with this type of cancer was difficult. She even went for a second opinion at Mayo in Minnesota. I hope your husband is able to live his active life in spite of NET for many years. 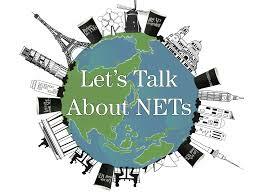 Chris is our hero and advocate for all things NET!! She has shared and helped me in so many ways. Thank you! Thank you!! Thank you for getting the correct information out!!! Chris, thank you for your tireless advocacy for all of the Neuroendocrine Cancer Community. Your passionate commitment to us provides valuable information, continuing education, and, most importantly hope. I can’t say enough positive amazing words about Chris and the awareness she brought to myself and my husband who is a Neuroendocrine patient. Her knowledge and patience getting the word out is just amazing. Thank you Chris and thank you for publishing this! I have Neuroendocrine Lung. Could not find a specialist in Minnesota. Mayo Clinic was useless. Ended up going to the Holden Comprehensive Cancer Center at the U of Iowa. Outstanding. Two people prior to Iowa told me I had less than a year to live. Not so. That is why having a “specialist” is so important. Doctors call rare diseases “Zebra’s.” There is an article in the Business of Medicine Medscape with a heading” Malpractice Risks of “Zebras”. Doctors are misdiagnosing this disease a lot. Thank you for a fact based knowledgeable article. You are an amazing person. Your dedication will save many lives and brings hope to us fighting NETS. Thank you, Chris! You are a tireless advocate for all of us.